Sponsored Post: This post was sponsored by the National Dog Show Presented by Purina. 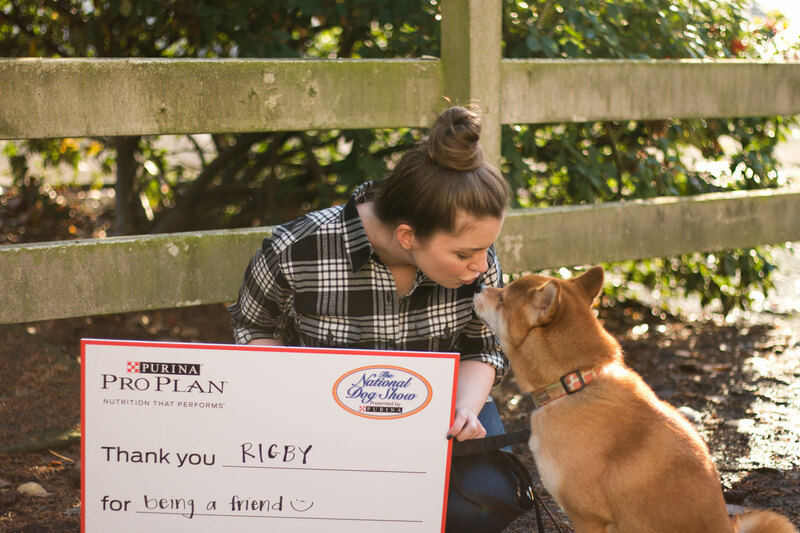 I loved the idea of the #DogThanking campaign and am excited to help raise money for the AKC Canine Health Foundation! I’ll be the first person to warn you that Shibas aren’t for the faint of heart, but I’m also the first person to tell you how much I treasure mine. Yesterday, a certain little man turned 3, and I couldn’t help but be a tiny bit sentimental for his younger days and also be sad that another year has passed by so quickly. As Thanksgiving draws near, it reminds me to be thankful for what I do have, and how I’m incredibly grateful to have such a special dog in my life. I was recently at an event where a woman received a devastating phone call that her dog had passed while she was away from home. My heart broke for her, and it reminded me of how we felt a few years ago when we learned that Dave’s dog Bonnie was very ill. I was instantly transported back to those emotions and felt for her. It’s an amazing thing to own a dog, but it’s incredibly difficult to lose one. Immediately I grabbed my phone to check my pet cam to make sure Rigby was okay, and to text Dave to confirm that he was okay when he got home. Paranoid? Maybe, but I can’t imagine if anything were to happen to him. I’m grateful for his companionship, friendship (even if he can’t communicate much with me) and for his loyalty. He’s a good boy, and I’m happy he’s mine. With that said, give your dog (or cat, hamster, goldfish, whatever!) an extra big hug this holiday season, and treasure the time you have with them. If you have a spare minute, snap a photo and use #DogThanking to help future animals live longer lives. I sometimes think it is easy to forget how special they truly are. I always love when you talk about Rigby because the way you feel about him is the way I felt (feel) about Warner and now Gatsby. They’re our babies….and I’m always so thankful for their unconditional love. I’m so glad we’re kindred spirits in that regard. I think a lot of people think this kind of attachment is crazy, but whatever, he is essentially my child! So sweet! I love Shiba’s and I’ve always wanted one but until we have more space I can’t commit. I have a chiweenie right now (chihuahua/dachshund) who is such a ham! I just picked up these pumpkin treats for him last month and he’s gone insane. I’ve also caved and I let him sleep on the bed now. He acts like he’s the king of the world because of it. Lol. Haha! Love it. Dogs are the best, and surprisingly Shibas do well in small spaces. Especially if they’re a bit older – Rigby does great in our condo! 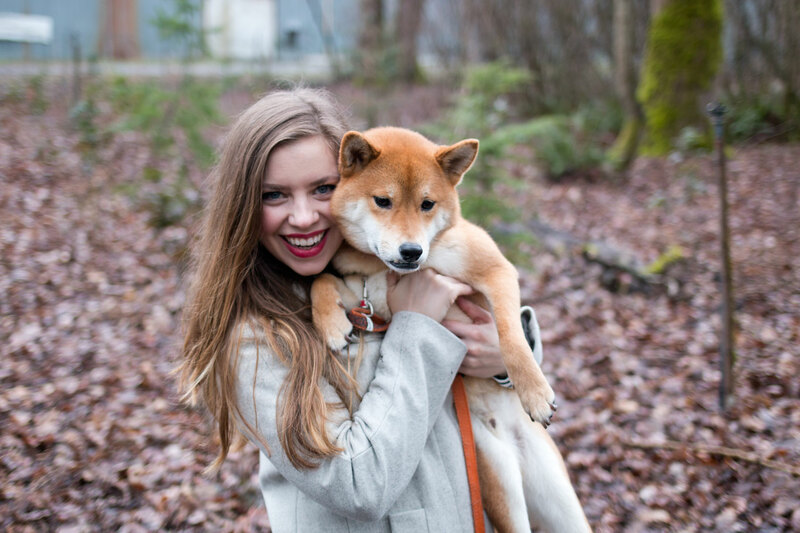 I can’t imagine life without my little shiba! He’s a handful, but he’s my buddy! Such a great cause! I cherish my pups too! Pups are just the best, and agreed, I love the good this will bring to future pets! Aw he is such a cutie! I’ve heard that shibas are not the easiest to train, but I mean, look at that face! Love this! I’m SO thankful for my pup Sheba! The doggy cam is so great to have! Thanks Rachel! And it really is! How sweet! <3 You and Rigby are so adorable together! <3 We really need to #DogThanking our dogs for loving us so much! :) Extra hugs are great idea! I couldn’t imagine a life without Starla now that I’ve had her. She gets hugs on the regular.